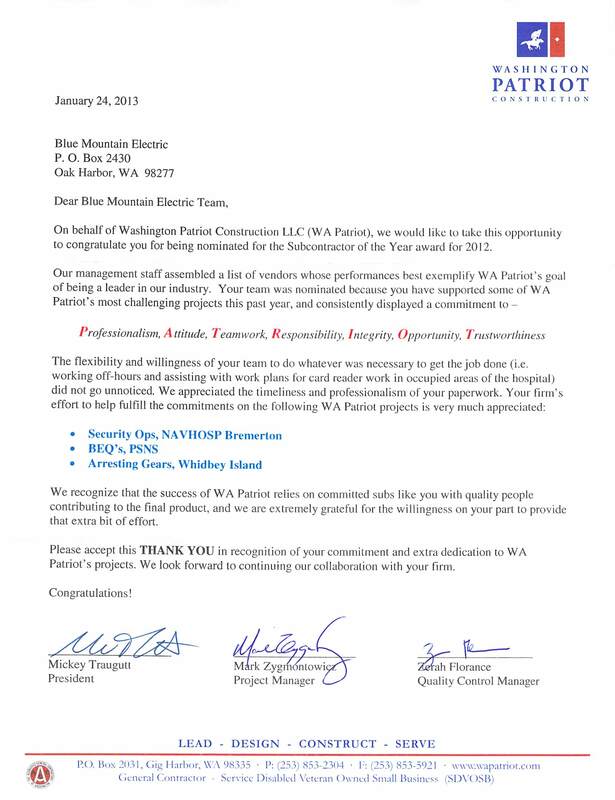 BME has been nominated Subcontractor of the Year by Washington Patriot Construction. BME worked with WPC on the Security Operations Center at NAVHOSP Bremerton, BEQ Heat Pumps and Renovation at PSNS, and Arresting Gears atÂ NAS Whidbey Island. With all but the SecurityÂ Operations Center project being design build, BME worked closely with WPC to bid, design, and complete each project.